According to child development specialists, the easiest way to raise a healthy child is by making health a way of life for your family. When smart practices are performed every day, it does not take long before they become habits. And while your child is young, forming good habits is less tricky because his or her exposure to other ideas is limited. Therefore, by the time he or she gets into preschool, these habits are embedded deeply enough so that your little one is less inclined to deviate. And speaking of getting into preschool, this is the time when your children’s health becomes a tad difficult to manage. Therefore, it is essential further strengthen health habits because the preschool environment can be quite challenging health-wise. In classrooms, all kinds of viruses breed and proliferate. Likewise, when kids start doing more activities, you will notice a change in their eating patterns or behavior. So, to make sure that your preschooler stays fit and immune to diseases despite the changes going to school can bring to his or her life, here are six ways to develop a healthy family lifestyle to boost your young one’s physical health. 1. Make milk a “welcome home” drink. It is always nice for young children to come home to a refreshing or warm beverage after engaging in various activities in school. Milk is perhaps the best choice to serve as a “welcome home” drink. Not only will it replenish energy but it can provide children with other nutritional benefits as well. What’s more, you can try different beverage recipes for milk. You can add spices (ginger, turmeric, and pumpkin spice), and fruits to it so drinking milk is always a treat after school. 2. Encourage your child to drink more water. A study reveals that most children these days are dehydrated because they do not drink enough water. They drink often enough, but mostly sugar-heavy beverages such as chocolate drinks and juice concentrates. To make sure that your little one stays hydrated, encourage him or her to drink more water. Pack a tumbler of water for school and add ice to keep the water cool and refreshing to drink. There are so many benefits to drinking water. It is better at quenching thirst and eliminating toxins from the body to prevent urinary tract infection and other health issues. 3. Be adventurous with food. Make it a family commitment to try different kinds of food often. It is important for children to develop a taste for more things, beyond the usual. This includes trying vegetables and fruits beyond your everyday carrots, corn and beans as well as apples and oranges. This way, children will grow up less picky, which can help them get more nutrients out of their meals and other food choices. 4. Walk around the neighborhood in the afternoon, or head to the park for a bike ride as a family. Incorporating physical activities into your family lifestyle will have great positive effects on your child’s health and wellbeing. It will teach your child that moving his or her body is fun and doing physical activities is an opportunity to spend time with the people he or she loves the most. If you are a mother who gained weight during pregnancy, family activities such as walking and biking will benefit you as well. You can finally shed off the additional pounds you packed. Plus, it can help you conceive much faster and have an easier pregnancy in the future — if that’s part of your plan. It’s important to mention, too, that when children take part in physically challenging (albeit fun) activities regularly, they are less likely to develop weight issues as they grow older. 5. Make sure that meals are always on time. This will establish a routine in your child. He or she can actually learn to let cravings that lead to untimely snacking subside and eat full meals instead. Eventually, your child’s body rhythm will adjust and managing the desire to eat will become a breeze, which is crucial for health management. 6. Be firm with their sleep schedule. Establish the best time for sleep so your young one can harness all the benefits of a full night’s slumber. Do not let your child sleep late (except for the holiday season when children can sleep in the next day until brunch time) especially on a school night. This can easily become a habit, and your child will come to dread going to school purely because he or she would be happier to stay in bed much longer. To make sleep come easier for the little one, give him or her a warm bath before bed, as well as a warm beverage. Likewise, dim the lights and cuddle with him or her for added coziness and comfort. 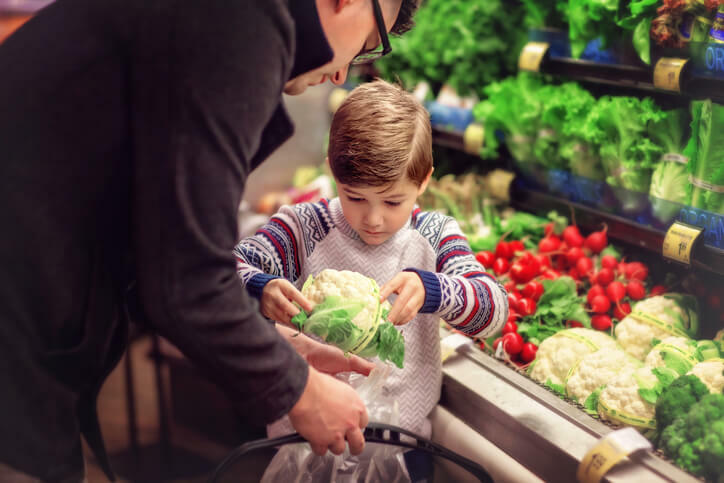 When teaching your child healthy habits, it’s best to start out with just a few changes and work on being consistent. Once these practices become new habits, bigger changes will be easier to implement for the maintenance of your child’s good health.